Marco Carola’s Music On has revealed that it will host a two-day closing weekend to round of its fifth season on the White Isle, with parties taking place this Friday 30th September and Saturday 1st October. 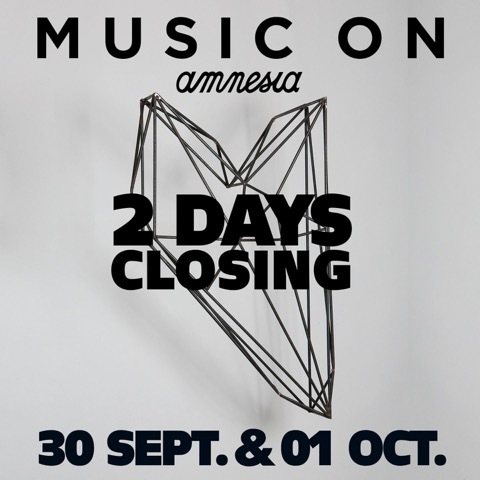 Music On’s mammoth closing weekend kicks off at Amnesia Ibiza on Friday, with a line-up that includes Carola, alongside Miss Kitten, Stacey Pullen, Oxia and Neverdogs. The party recommences on Saturday as Carola plays an all-day set from 6pm, before being joined by Jamie Jones, Leon, Stacey Pullen and Joey Daniel. The head honcho goes back on deck in the early hours of the morning to bring things to a close on the Terrace. In a rare interview, the Italian techno DJ/producer and Music On promoter talked to DJ Mag last year about record shopping in London in his formative years, his upbringing in Napoli and his steady upward trajectory into becoming one of the biggest techno DJs in the world. You can see the full line-up below and buy tickets from the Music On website.